and the tomatoes aren’t ripening. Well it is October and obviously autumn now. But this doesn’t mean that the green ones can’t be used. How about a green tomato cake? The ingredients are easy to find and not out of the ordinary. But it’s worth a try just to be out of the ordinary with the recipe. Or as the weather is turning towards cooler – how about green tomato soup? Green tomato bread sounds fun and only asks for simple store cupboard ingredients (well things I have in mine and I don’t carry unusual!). Green tomato pie sounds off the wall but looks simple to make. You can cut down the quantities required and just make a little green tomato mincemeat to try for later in the year! Or scroll down the page for fried green tomatoes and sherry ketchup! How about green tomatoes with bacon which is a quick and easy recipe. Or for a meal for two right out of your crop share – Green Tomato Curry with Potatoes and Garlic? And as for ripening indoors – here is someone who has had that dilemma and decided that easy is best. No green tomatoes won’t ripen in the fridge so if you don’t have space to ripen them, well there’s a whole lot of recipes suggested. And plenty more on the internet if you or a friend have time to look further. 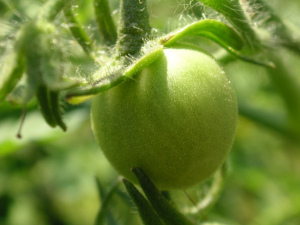 Or if you have a favourite green tomato recipe, let us know and we will share it around.